Dr. James D. Sterling is a professor and clinical instructor who divides his time between private practice and teaching. As the Assistant Clinical Professor and former Clinical Instructor for Mount Sinai’s psychiatry department, he has assisted the next generation of psychologists in learning the necessary tools of the trade. 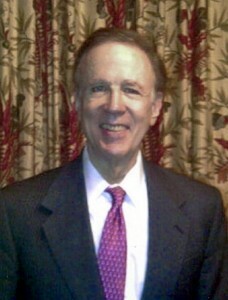 In a previous role, Dr. James D. Sterling spent more than five years at Metropolitan Hospital as a Clinical Instructor. Dr. James D. Sterling obtained his Ph.D. in psychology from the world-renowned University of Chicago. He later earned a Master’s degree (Psychology) from his alma mater, along with an additional Master’s degree from Columbia University (Business). After completing a pair of internships at the Chicago-Read Mental Health Center, Dr. Sterling received his license to practice psychology in Illinois. He was later licensed to practice psychology in his home state of New York. Dr. James D. Sterling maximized his expertise by serving populations at risk, aiding the Alcoholism Council in New York City. There, he offered guidance about treatment standards and referrals. Dr. James D. Sterling and his wife Carolina Sterling live in New York City. Married for 28 years, the Sterlings are proud parents of a daughter. Dr. James D. Sterling is a champion of the arts, regularly attending exhibits hosted by the Metropolitan Museum of Art, among other esteemed organizations in the New York City area. A native of the Big Apple, Dr. James D. Sterling returned to his home state in 1976, eager to give back to others through his work as a psychologist and clinical instructor. Dr. James D. Sterling has maintained and managed his full-time private practice – the New York Center for Psychotherapy – from his office on Park Avenue since that time. On a daily basis, he assists clients in need of individual, group and couples therapy. The practice of Dr. James D. Sterling helps clients to mend and develop their personal relationships by acquiring necessary communication skills. By adopting a variety of approaches, Dr. James D. Sterling is wholly qualified to help individuals who contact him for group sessions or one-one programs. James D. Sterling has been a long-standing member of one of the premier organizations in his profession; the American Group Psychotherapy Association. He also previously held membership rights with the American Psychology Association for over two decades. Throughout the entirety of his career, Dr. James D. Sterling has received extensive training and education in a number of psychology disciplines and subdisciplines including mental health and developmental psychology. The academic experience of Dr. James D. Sterling extends beyond the study of psychology. He has received training in a variety of languages including German, Italian, French and Spanish. Dr. James D. Sterling also gained knowledge by taking courses in business administration and social welfare. His pursuit of higher learning has taken him across the world, most notably a stint at Swiss university Lyceum Alpinum. Dr. James D. Sterling has also sought advanced education in major U.S. cities like San Francisco and Chicago and studied at the prestigious Instituto Nacional de Neurologa in Mexico.